Celebrate spring as BCO takes on the works of Beethoven and Copland. This concert will celebrate spring with a performance of Aaron Copland’s iconic Appalachian Spring. Copland, one of the most famous American composers of the 20th century, wrote Appalachian Spring initially as a ballet score for a 13-piece orchestra. A year later Copland wrote and prepared a score for full orchestra. The composition based on the Shaker hymn Simple Gifts focuses on the human landscape of a rural Pennsylvania community in the nineteenth century. Violinist Sabrina Tabby, from Philadelphia, developed a fondness for chamber music at a very young age, playing regularly with her twin sister, a cellist. In high school, she and her sister were featured on National Public Radio’s “From the Top” radio series and television show at Carnegie Hall. At Bard College Conservatory of Music, Sabrina performed across four continents, as concertmaster of and soloist with the Conservatory Orchestra, in chamber music, as well as in various baroque and new music ensembles. In addition to her degree in performance, Sabrina also received a Bachelor’s degree in French Studies. She continued throughout her Master’s Degree from Northwestern to be recognized for her fine playing as a soloist and chamber musician. 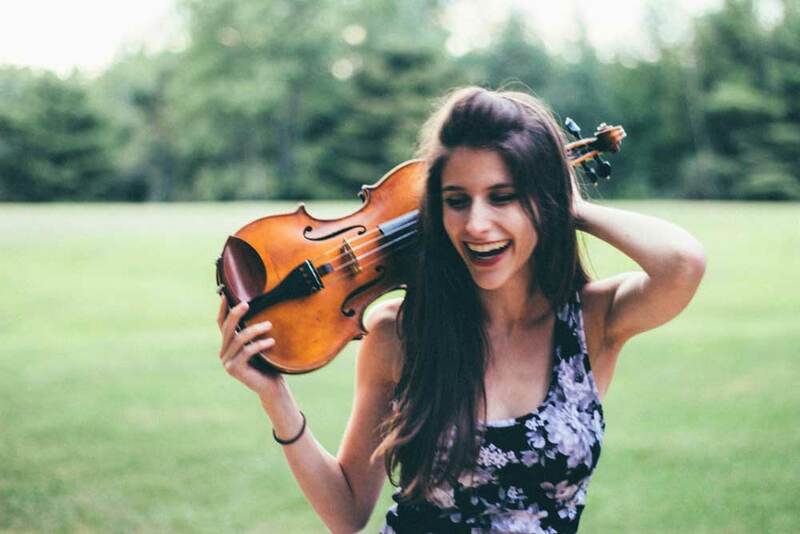 A founding member of the NYC-based new music ensemble, Contemporaneous, she is prominently featured on Innova Recordings album “Stream of Stars: Music of Dylan Mattingly,” and premiered David Bloom’s concerto written for her with the American Symphony Orchestra. This past season, she led the ensemble as concertmaster in Act I of Mattingly’s first opera, Stranger Love presented by Prototype Festival. Sabrina performs and tours as a founding member of ATLYS (with her twin sister! ), a classically-trained, crossover string quartet that is redefining the role of chamber music. Advance tickets go on sale 2 weeks prior to the concert date. All tickets are for general admission seating. Doors open 30 minutes prior to scheduled concert time. Purchase form will appear below as soon as tickets are available. Tickets can also be purchased at the door prior to the start of the concert. Cash, check and credit card accepted. We will deliver your purchase confirmation to your inbox, which you will need to present at the door. This organization is made possible by the voters of Minnesota through a grant from the Central MN Arts Board, thanks to a legislative appropriation from the arts and cultural heritage fund.